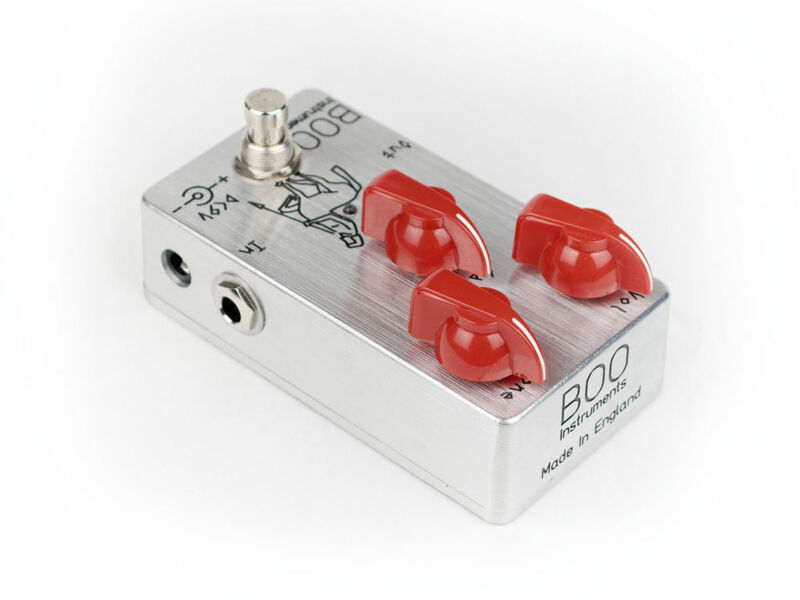 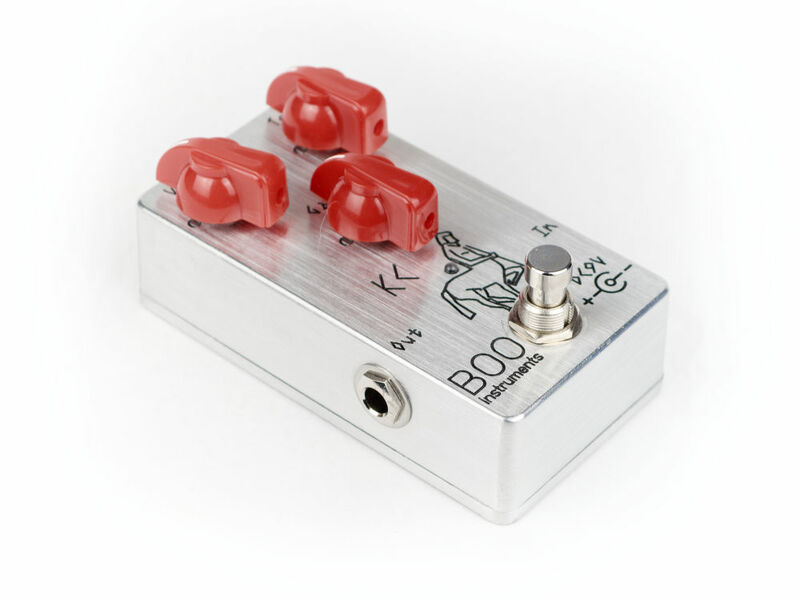 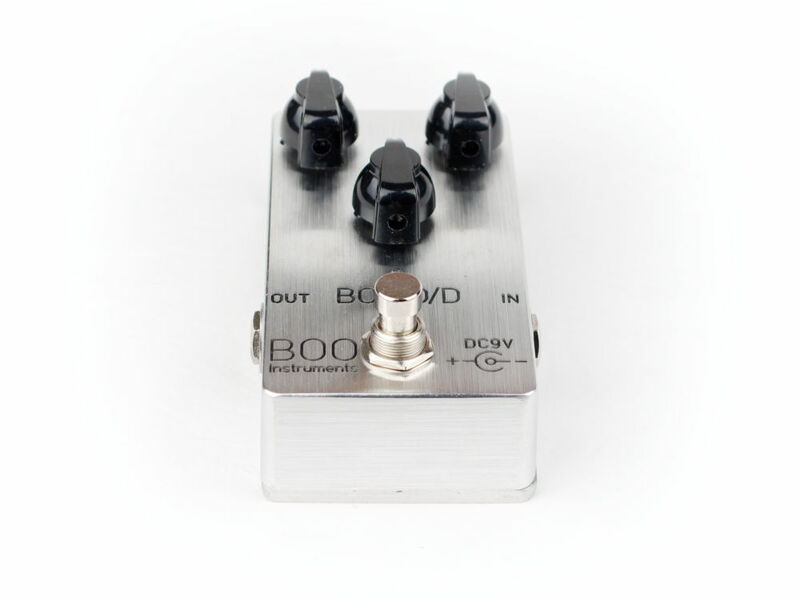 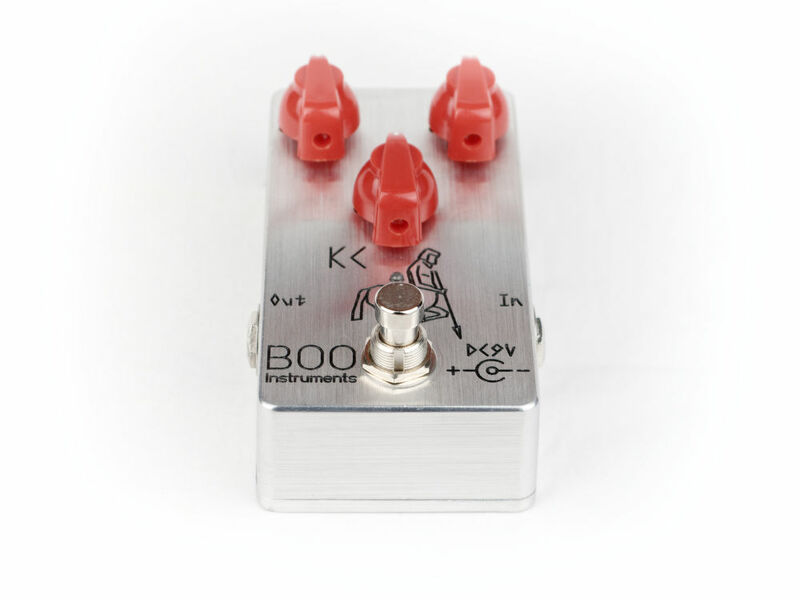 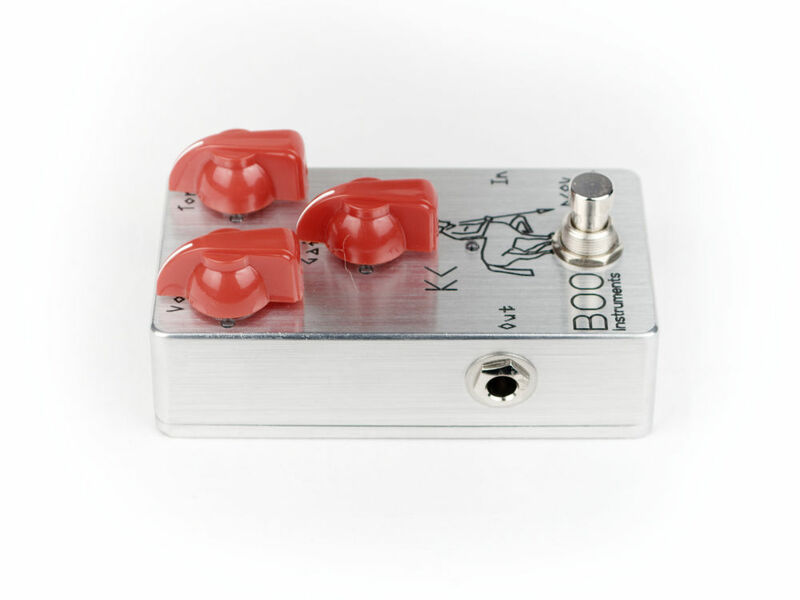 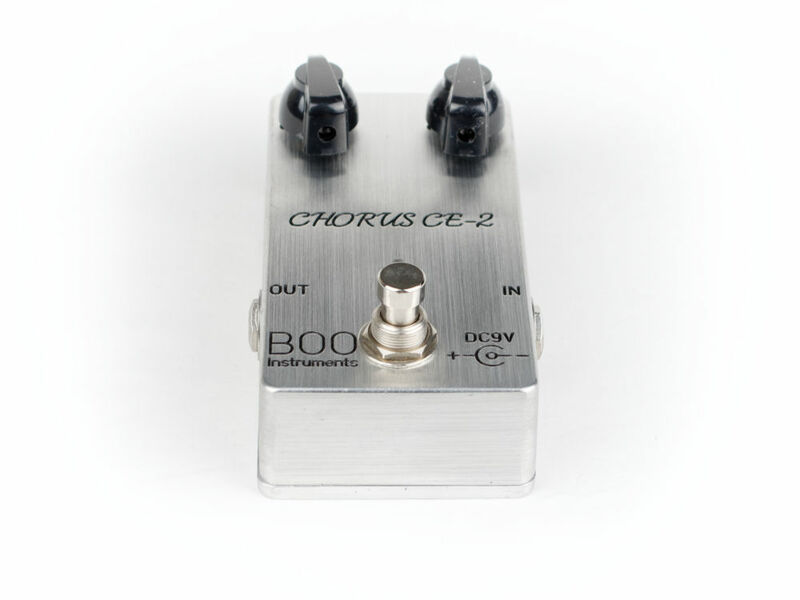 BOO Instruments boutique custom made KC overdrive pedal!!! 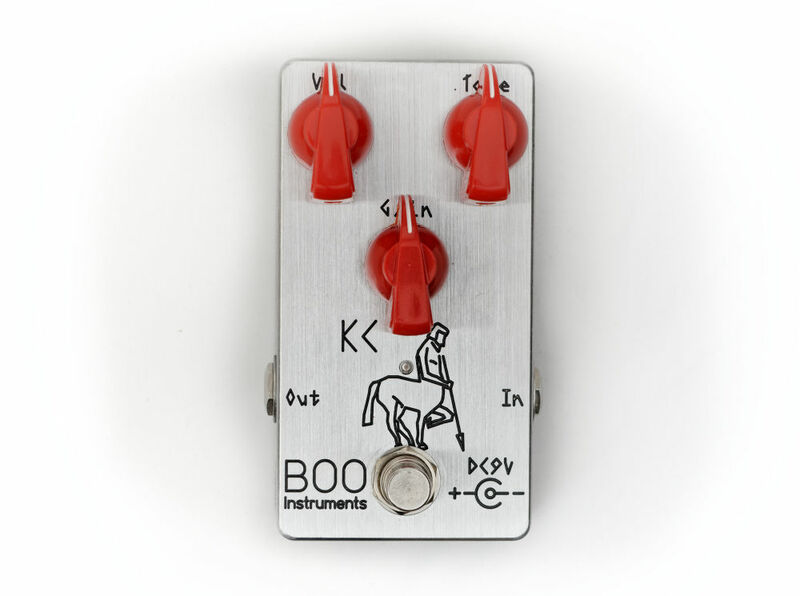 With the voltage pump and buffered bypass. 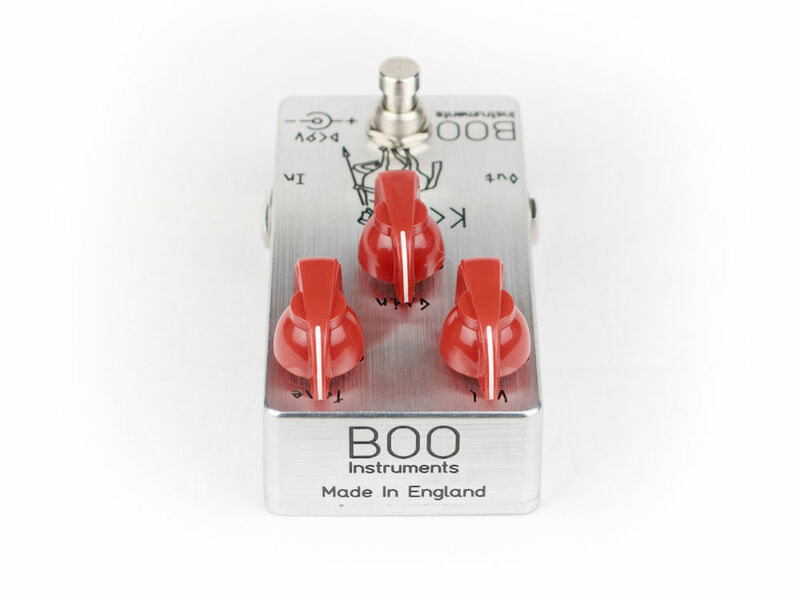 Hand made right here in the UK using top quality Panasonic capacitors and metal film resistors. 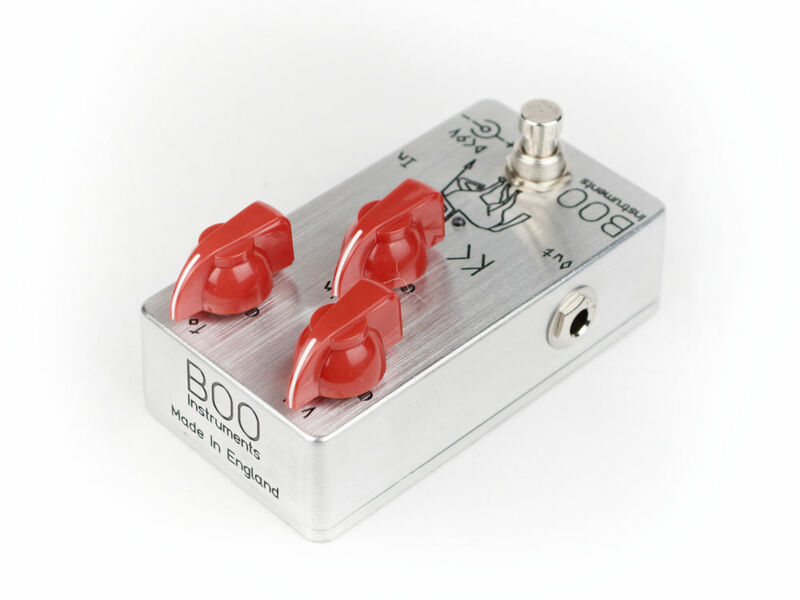 The unit is professionally assembled and soldered by experienced boutique manufacturer and comes with full warranty! 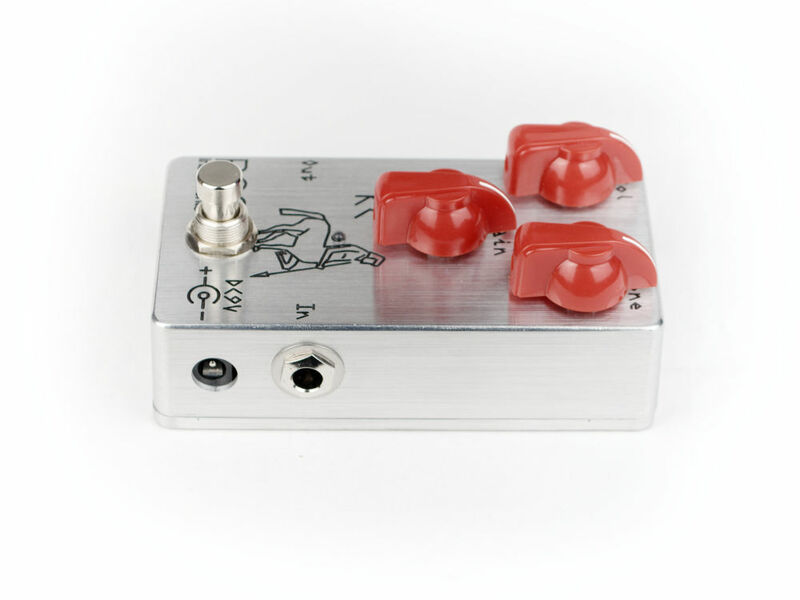 The LED is Red colour to match the knobs and lights up when the pedal is on. 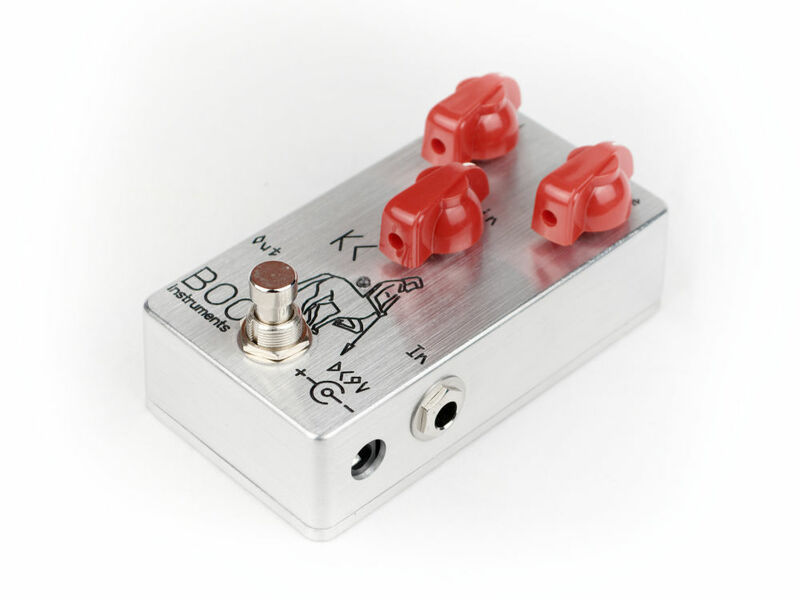 Metal enclosure, specially finished and very robust. 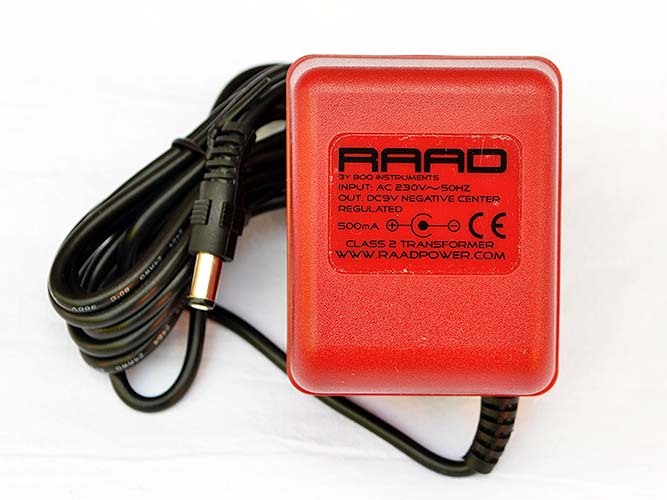 Writing engraved so little chance of it coming off. 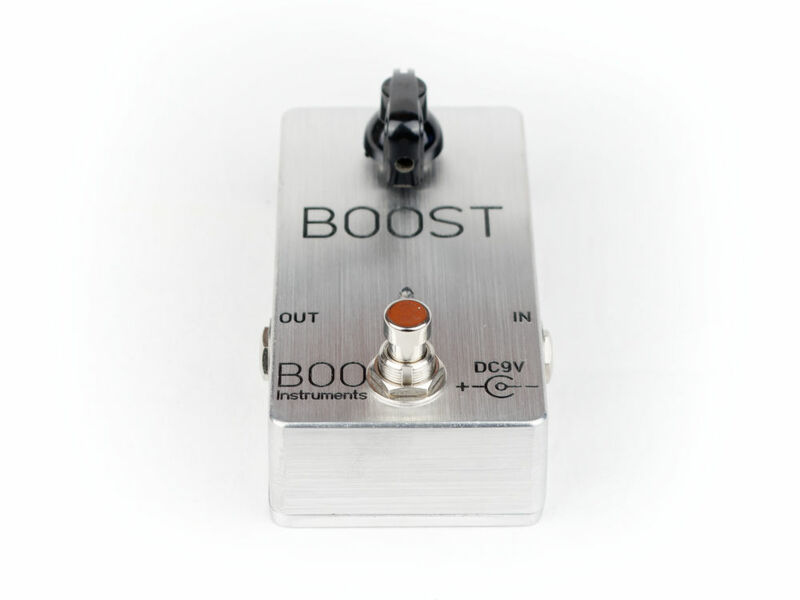 Pedal will stay looking new for years to come!